Rembrandt House, on Whippendell Road in Watford, stood largely empty for decades and its beautiful Edwardian façade had fallen into disrepair. 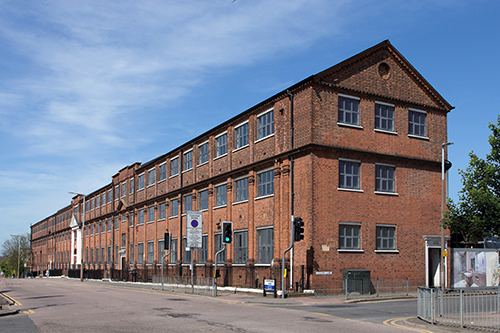 The landmark 3.4-acre site was originally home to the Watford Speedometer & Magneto Works, which provided parts to companies like Vickers and Rolls Royce. In 1932 the site was taken over by Rembrandt Photogravure (hence the name of the building), which printed glossy magazines and the earliest colour newspaper supplements. Henley have transformed the high-ceilinged and light-flooded interior into 43 one, two and three bedroom apartments, some with mezzanine levels, while restoring the striking 120m-long neo-classical exterior. Ample parking and good transport links will allow easy connections to work and leisure opportunities, while Watford town centre is just a few minutes away. Thirty apartments were for private sale, averaging £477 per sqft (with only a handful remaining) and 13 are available via Origin Housing Association.